For two intensive weeks, enrolled students work with professionals to craft their performing arts talents. Each day students study with teachers who focus on acting and drama, music and classical vocal technique, and dance and movement for the stage. Then students put theory into practice! 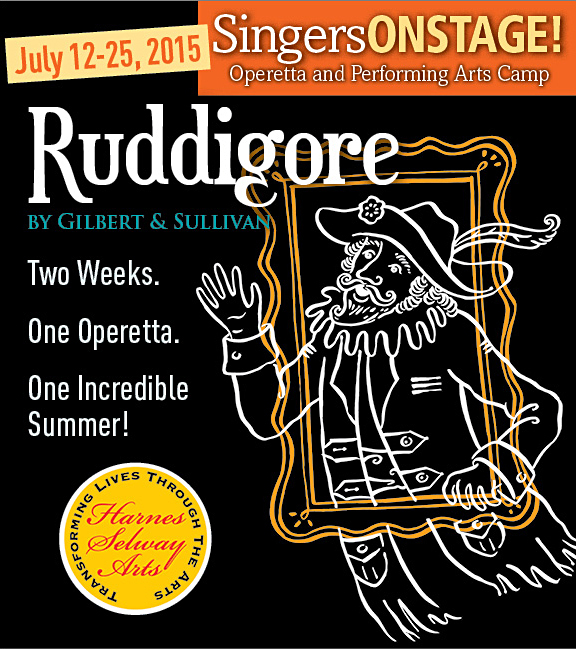 Afternoons are dedicated to working with a professional stage director on a full production of Ruddigore . Each student takes part in the production – some in soloist roles for which they’ve auditioned, and others in all the important chorus roles. Acting scenes, a group voice recital and dance routines learned during the morning sessions will be featured in a public Midsummer Showcase performance during the second week. Students take away a sense of accomplishment and pride. Throughout the program, they receive positive reinforcement that allows them to gain self-confidence. By working together as a team, the students become a true performing arts company.